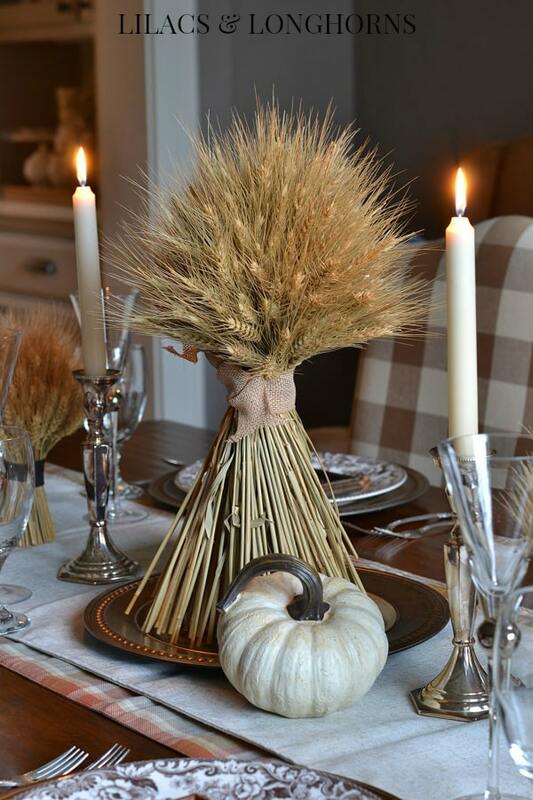 Early in the season, I began my fall decor using very pale colors. Gradually, I started adding more color but until now, I really haven’t worked with oranges and browns. I have one more table for you before moving on to the December holidays, and as promised, I’m finally using some warmer tones. 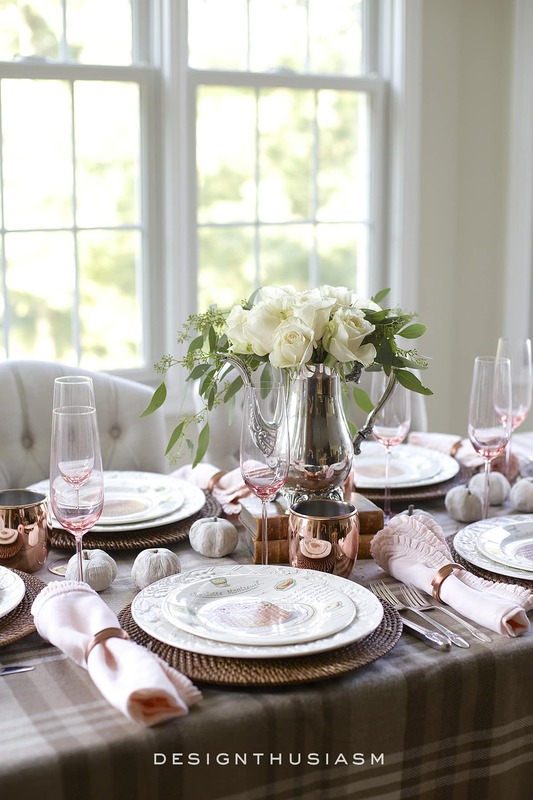 While I’m still styling it in my soft French inspired way, today I’m presenting a burnished copper tablescape for a warm Thanksgiving dinner. 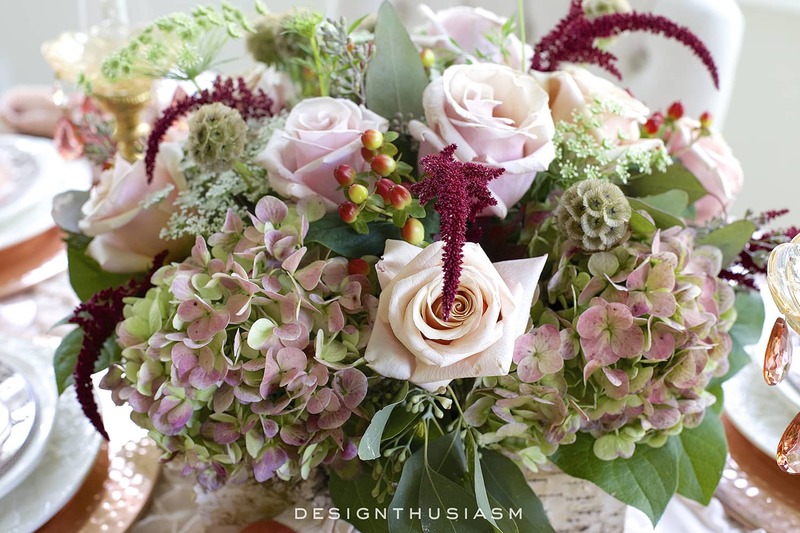 Plum and green hydrangeas mix with blush pink roses, seeded eucalyptus, seasonal berries and wispy pops of burgundy in a lush autumnal centerpiece. 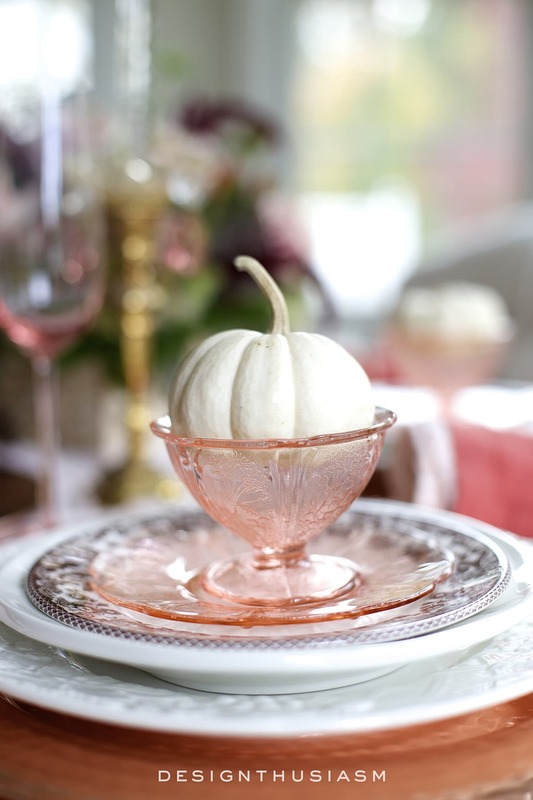 Baby boo pumpkins nest sweetly in the vintage dessert cups to reflect the time of year. 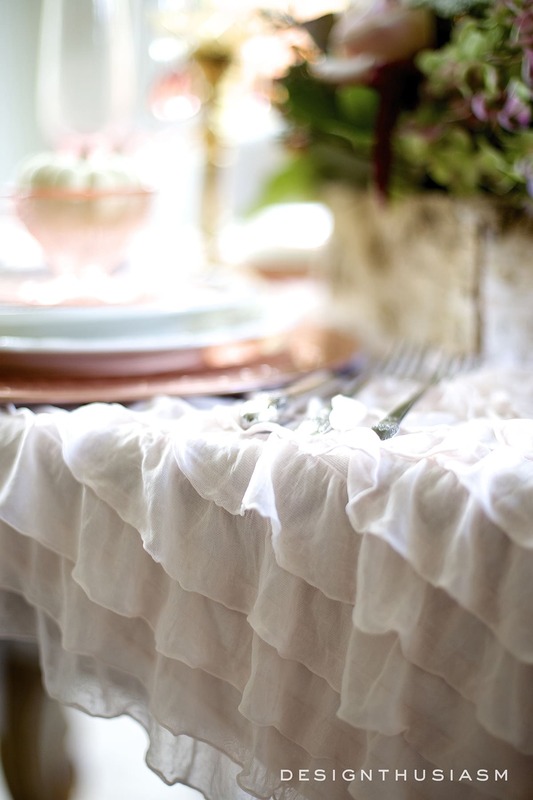 The gorgeous blush pink ruffled throw I’ve been crushing on lately is used once again on this table. 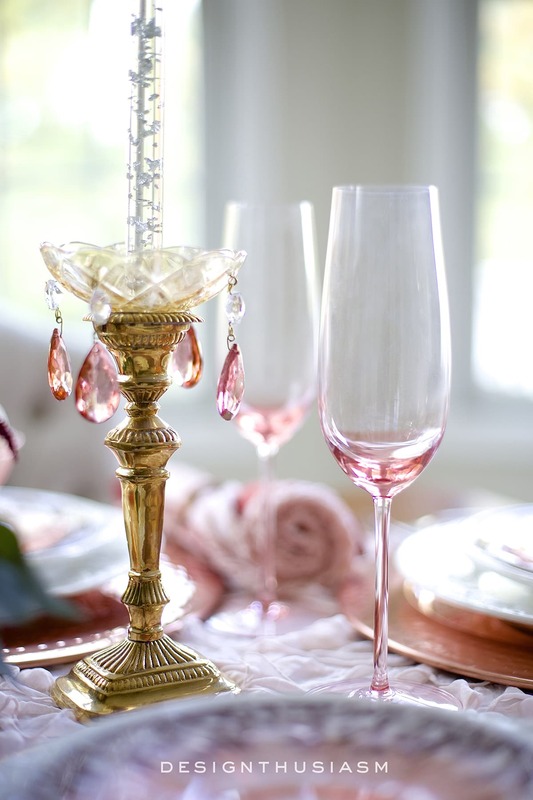 I’ve included vintage brass candlestick holders to add another note of warmth, embellished by golden bobeches with rose crystal drops. 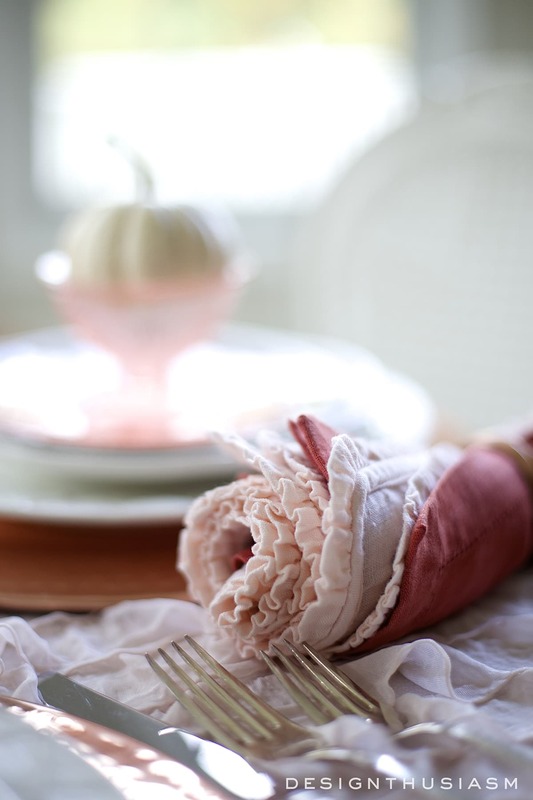 The napkin cluster layers a russet linen hem stitch over a pale pink ruffle-edged napkin. 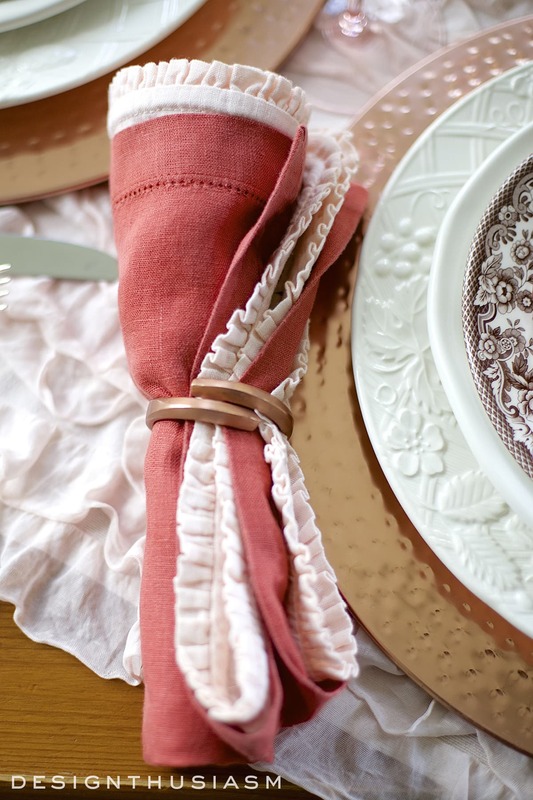 Subtle copper napkin rings hug the pieces together. 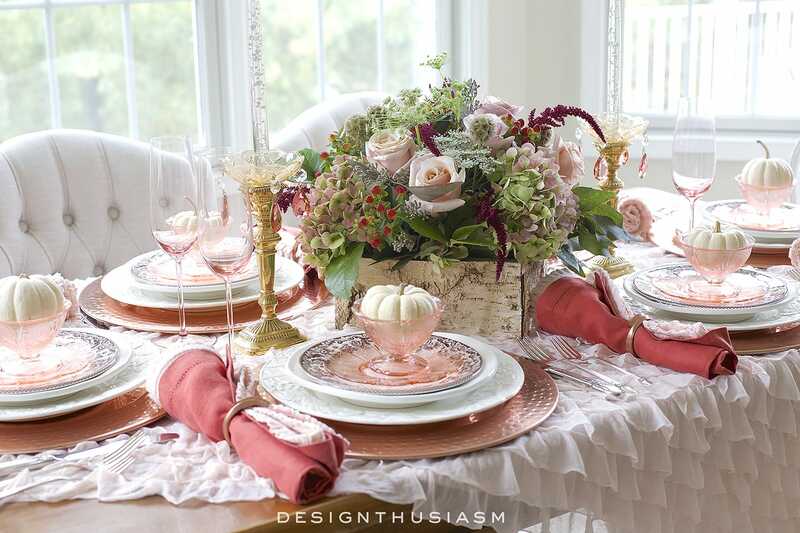 Contrasting the feminine elements on the table are some more rustic hints, such as the square bark container that holds the brimming floral centerpiece. 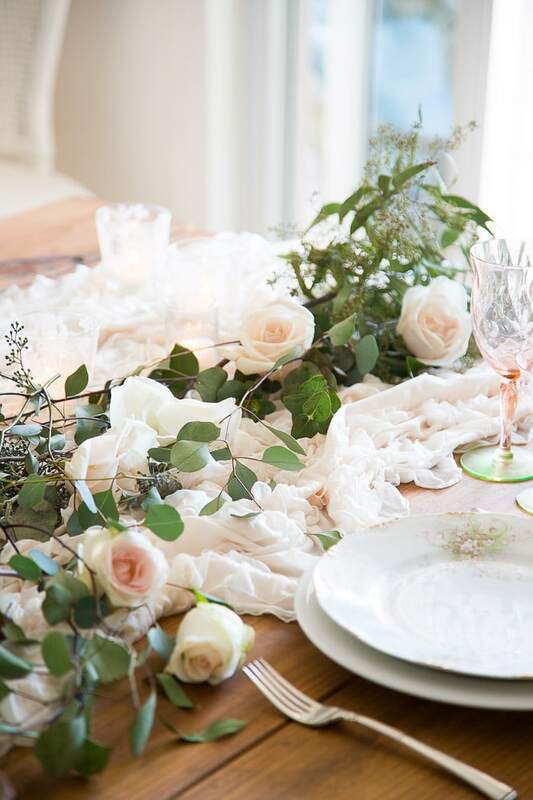 Delicate pink champagne flutes pick up the paler tones on the table, while silver flecked candles offer another little touch of glimmer. 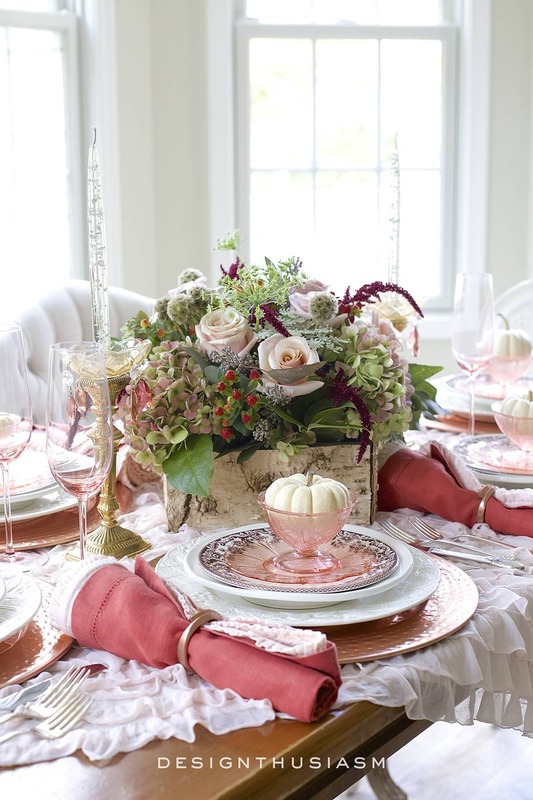 The warmth the table exudes would welcome any guest at this meal. 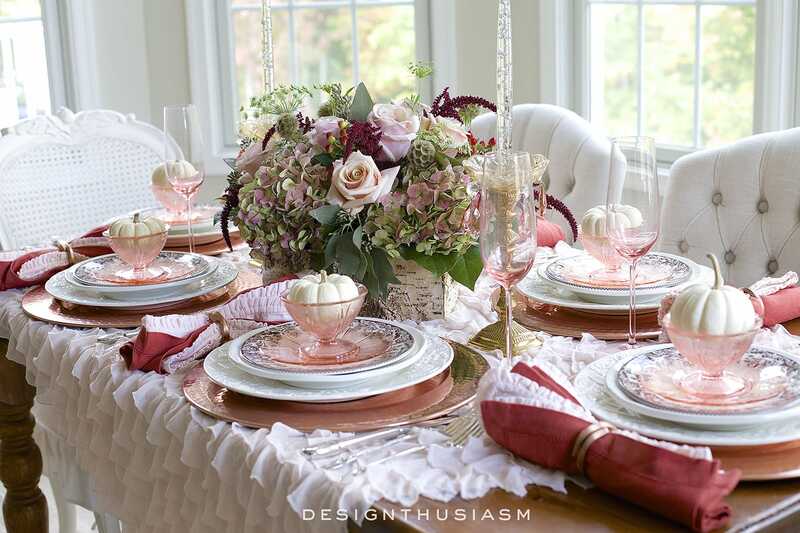 Combining burnished copper with rust and burgundy accents supplies the warmth of the fall season, yet the lighter pinks offer a charming and more personal way for me to celebrate this very special holiday. Thanks, Janet! I think you’re going to see that throw in every table I do… lol! Might be time to order another color… 😉 Hope you’re getting some clicks to the shop! 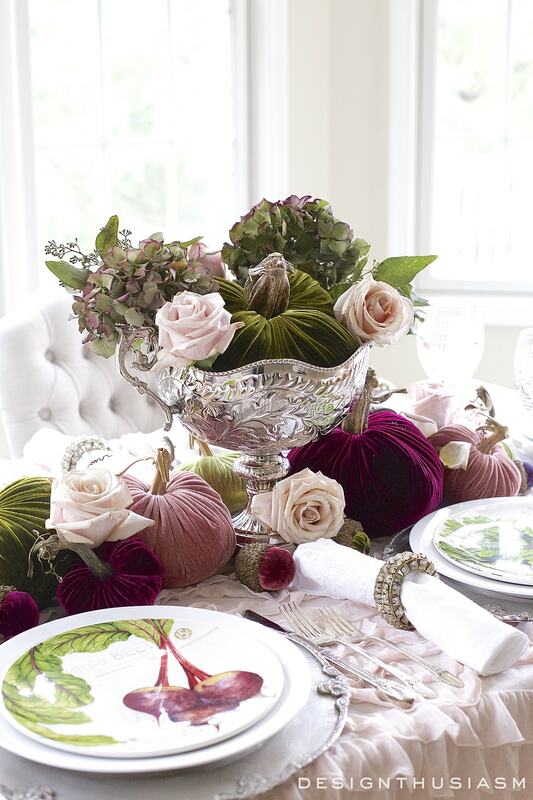 So lovely Lory, especially the ruffled throw! 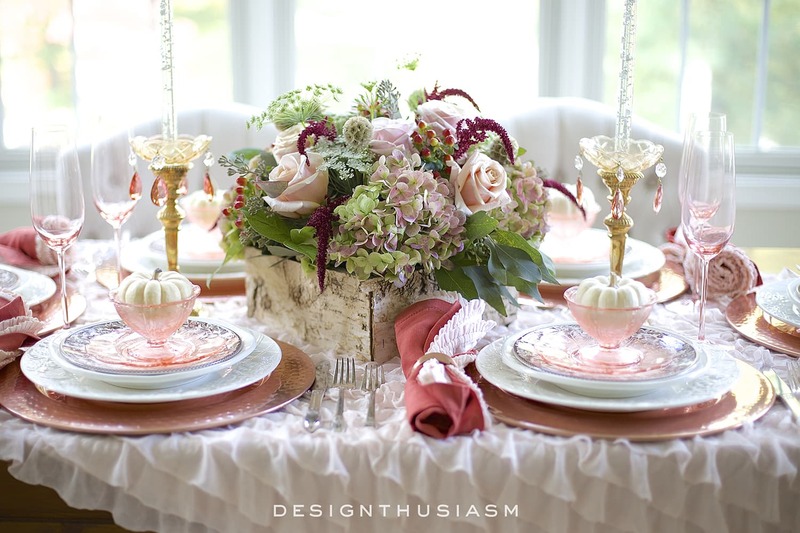 Lory: This is one of my favorite tablescapes ever! Gorgeous. 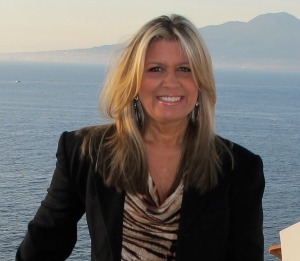 Original and inspiring…this is beautiful! 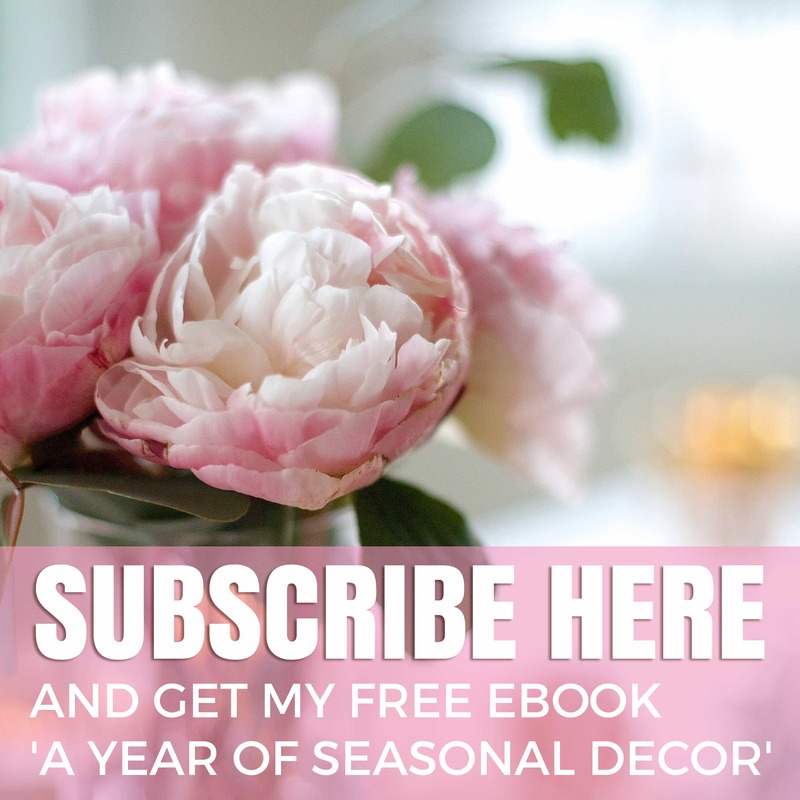 Some great ideas for those of us who live in warmer climates. Thank you so much! Stunning, stunning, stunning, Lory! 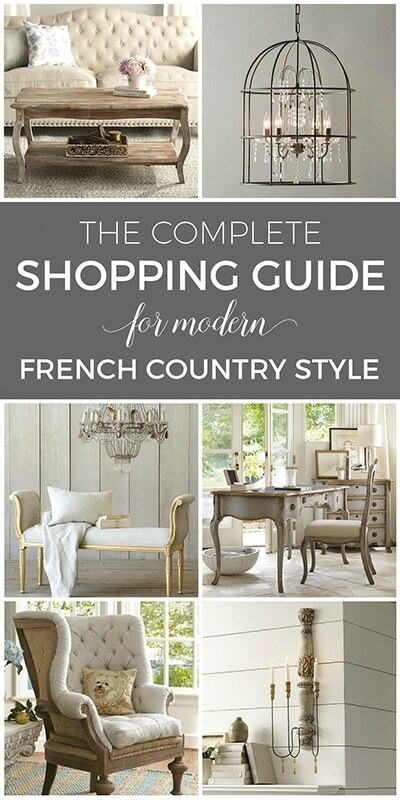 This table makes me S-I-G-H! So soft and romantic. 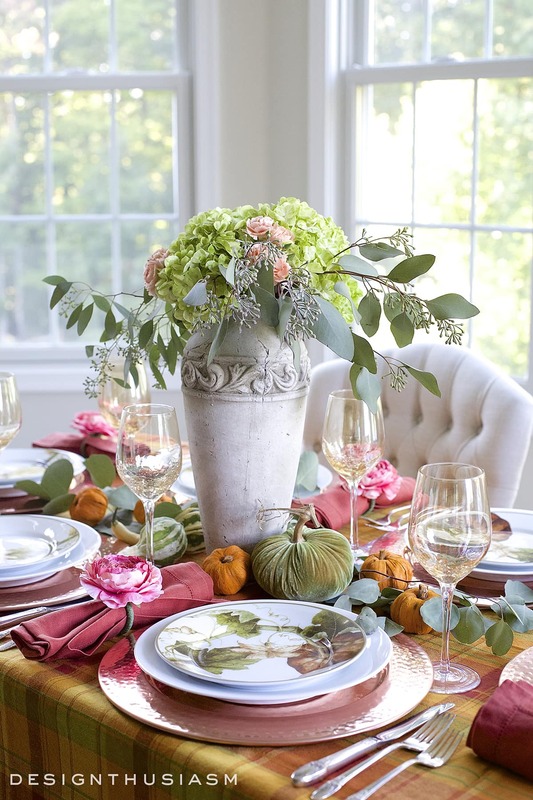 I’d love to sit at your Thanksgiving table! 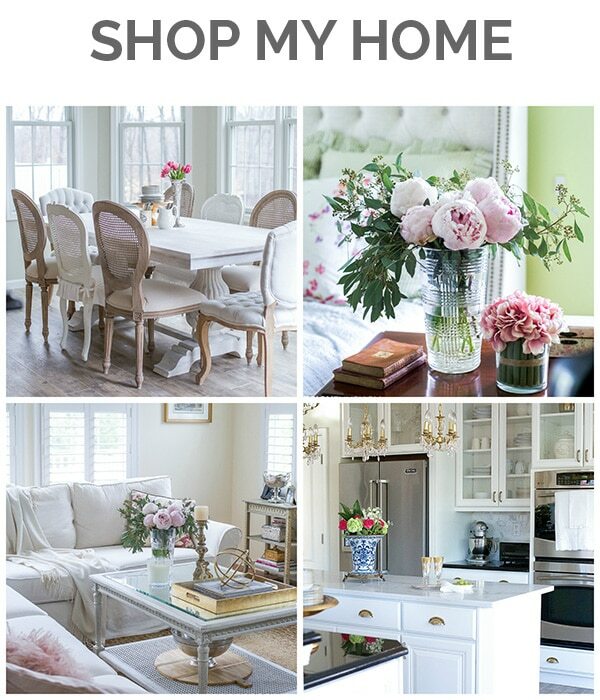 Lory, after reading and scrolling past every pictured I swooned a little more. I Say this often but your table romantic. 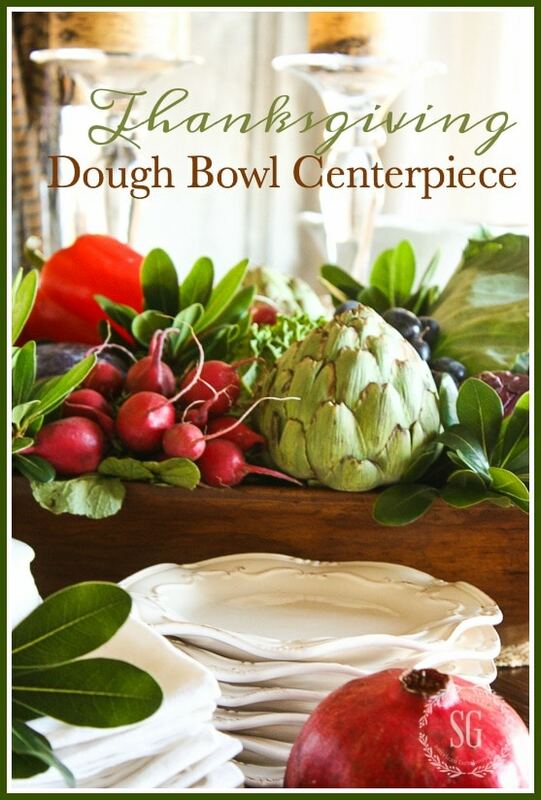 Lory, Your floral centerpiece is beautiful and your container has the perfect seasonal texture. 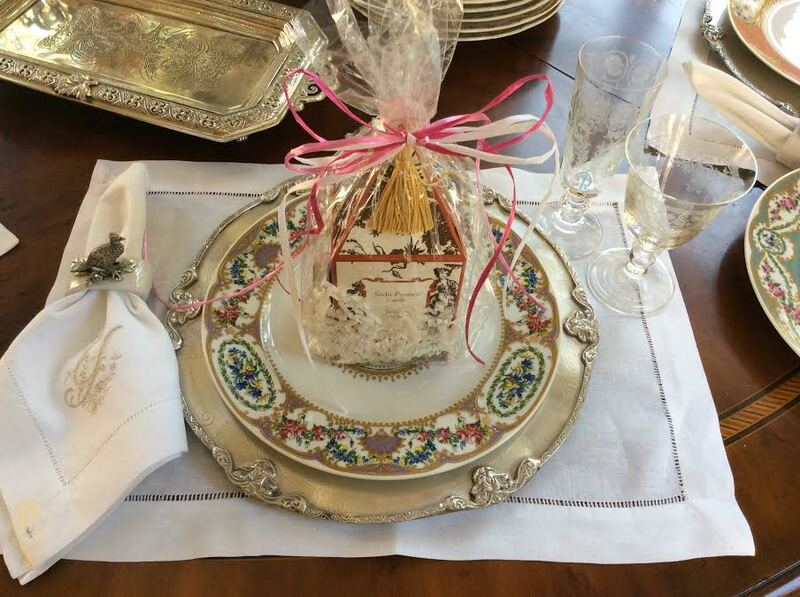 Love the blush depression glass pieces layered with transferware. I’ve rarely thought of Thanksgiving as being “romantic”, but you created the mood here. 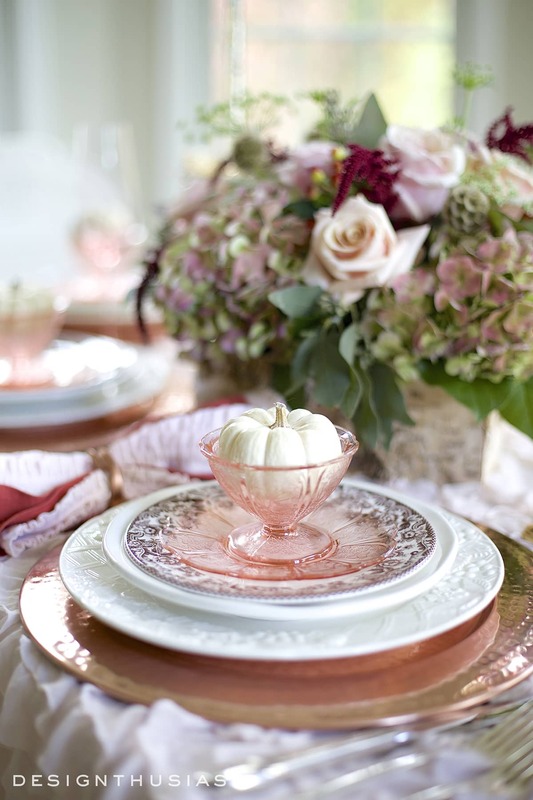 You also made me remember that I have a lovely pink depression glass platter that I have never used on my tables. This is absolutely beautiful! Such a lovely table. So soft and romantic. 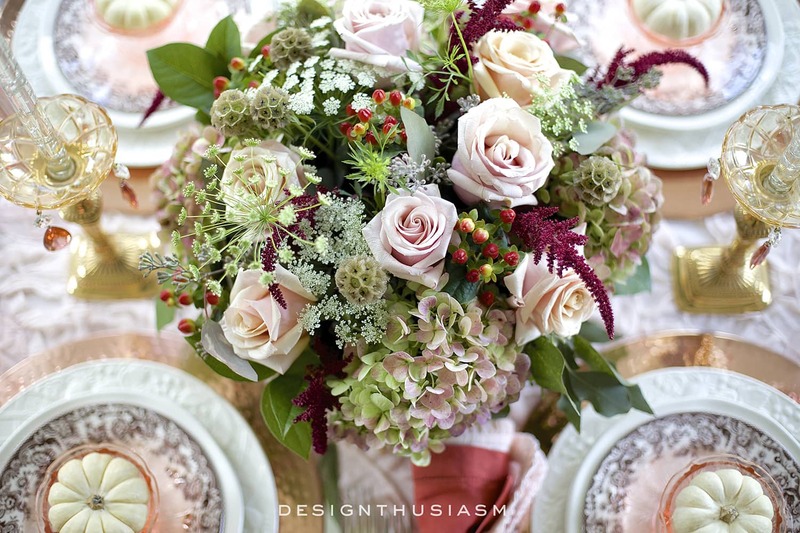 Gorgeous table! 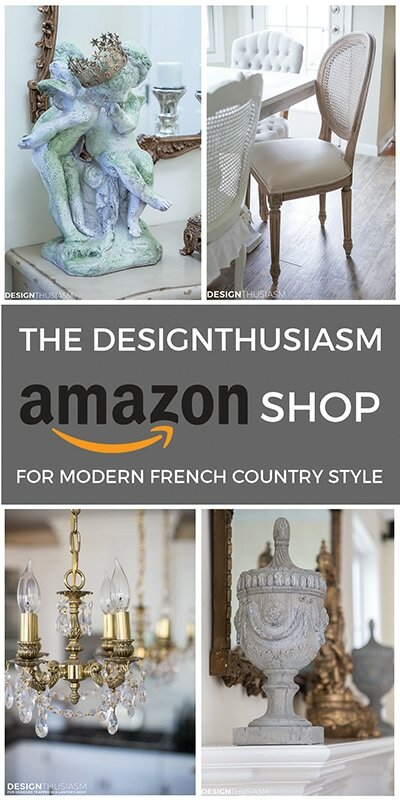 I love depression glass. Thanks! Me too… 🙂 And it’s so readily available!